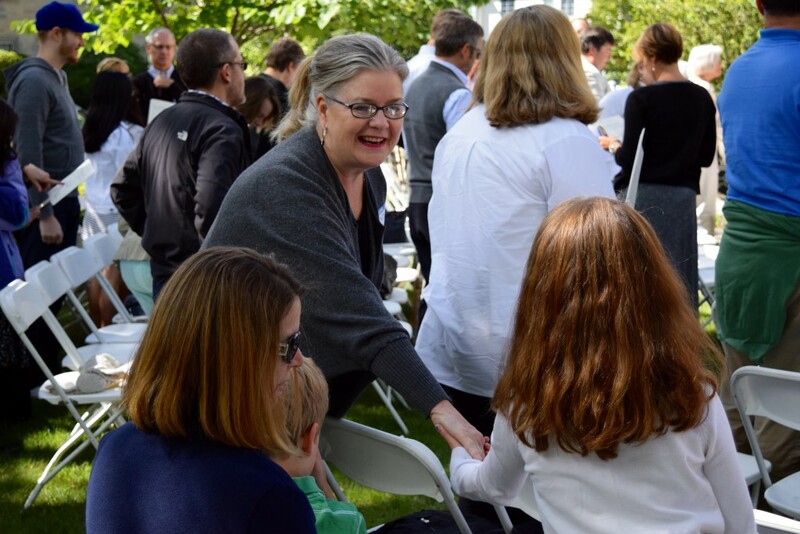 When you enter the doors of First Presbyterian Church of Wilmette, you will discover a welcoming church family, a place to engage your soul in passionate worship, and opportunities to intentionally grow and serve on a Christian faith journey with others. We are full of hope and faith here! We hope that, in the music, prayers, and preaching of worship, you will experience something of God’s love, comfort, peace, and call ever more deeply. We hope that, in the shared conversations, cookies and coffee after worship, you will experience the warmth of friendship and fellowship that is central to life in this congregation. We hope that you will find meaningful ways to engage your faith through our enriching and intentional Christian education opportunities. And, we hope that you will find ways to be the hands and feet of Christ as you serve this community and the world God made and loves. Most of all, we hope that you will feel welcome here. Please come, as you are, and get to know us, as we are. Come by yourself, or with your family or a friend. Come at 10:00 for service in the sanctuary, concurrent with children’s Sunday school activities. Stay for coffee afterward. Let us get to know you and let yourself get to know us. We hope this can be a place where your faith can grow and deepen in fresh ways. We hope to see you soon!